The Atlanta Falcons promote responsible drinking and positive fan behavior at Georgia Dome. The Falcons alcohol management plan ensures that fans have a safe and fun experience. The Atlanta Falcons Code of Conduct applies to all ticket holders and patrons of the Georgia Dome and Georgia Dome property. Ticket holders and patrons are responsible for their conduct as well as the conduct of their guests. Concession Stands: End of 3rd for games before 6 p.m.
End of Half for games after 6 p.m.
Hawkers: End of 3rd for games before 6 p.m. Fans are encouraged to text or call stadium management to report violations of the Fan Code of Conduct. The Atlanta Falcons and TEAM Georgia have partnered to provide Falcons fans with the designated driver program at Georgia Dome. Continuing for the 2016 NFL season, the Atlanta Falcons are facing off against the Tampa Bay Buccaneers and the Carolina Panthers in the Bud Light Good Sport Designated Driver Challenge. Falcons fans who pledge to be designated drivers at the Georgia Dome earn the Falcons a touchdown (6 points) in the Challenge. 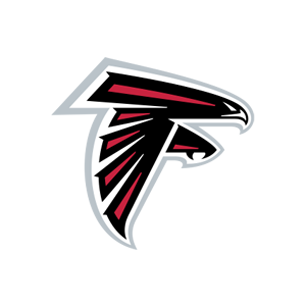 Falcons fans who “Like” the Falcons Designated Driver Challenge Facebook page earn the Falcons an extra point in the Challenge. Please make the pledge to be a responsible Falcons fan and help the Falcons win the Challenge!